Charming Tudor property ideally situated for Manchester,Bury and Burnley.. The Old Mill Hotel is brimming with character! Check out those gorgeous beamed-ceilings for starters! This fine-looking Tudor-style hotel is set in its own private gardens in the heart of the Rossendale valley. Guests can choose between formal dining or a relaxing meal our Candles Restaurant offers both and more besides with its beautiful views and temping cuisines. All overnight guests have unlimited use of our private Leisure club which offers the ultimate in health and fitness and is an ideal place to relax. 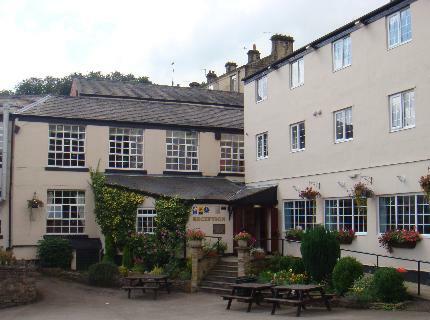 The Old Mill Hotel has a terrific location with its beautiful surroundings and it is only within minutes of the extensive North West motorway network.